2 months after the Dev/Canary channels, the 64-bit version of Chrome for Windows is now available in the beta channel. It's still limited to Windows 7 and Windows 8+ and you obviously need a 64-bit operating system. 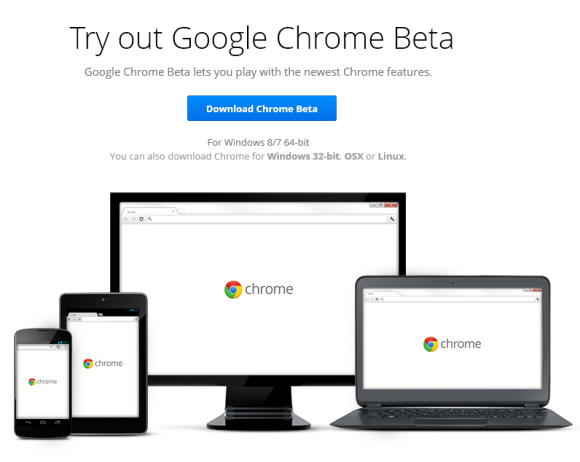 "To try it out, download the 64-bit installer from our Beta download pages. The new version replaces the existing version while preserving all your settings and bookmarks, so there's no need to uninstall a current installation of Chrome," informs Google. The 64-bit Chrome brings some actual improvements: better performance and fewer crashes. 5 years after releasing the 64-bit Chrome for Linux, it's time for Windows users to upgrade to a 64-bit browser. Thank you very much for the informative article about Digital Agency.